When the world’s greatest detective is violently murdered by her nemesis, the world’s foremost super team and her former sidekick band together to bring the villain to justice. However, the mission goes terribly wrong, and before the night is out each of the ten “heroes” will pay dearly for past transgressions. 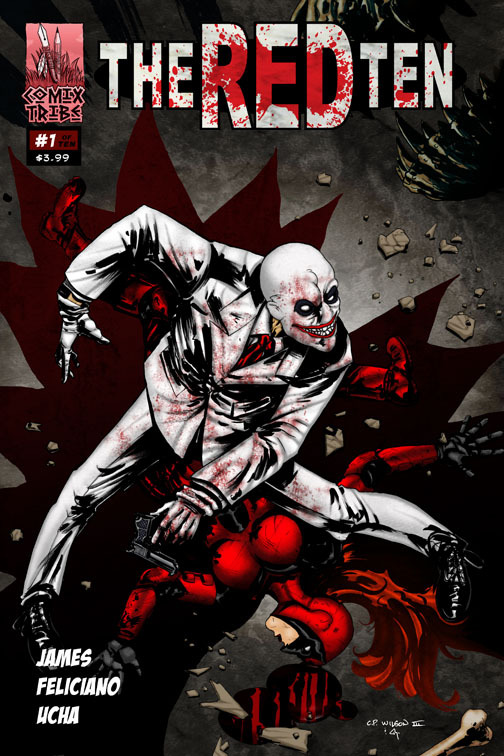 THE RED TEN is a 10-issue superhero murder mystery. ORDER THE RED TEN #1 ONLINE NOW! ORDER THE RED TEN #1 FROM YOUR LOCAL RETAILER! Get THE RED TEN #1 from your local comic shop! Find a comic shop near you! 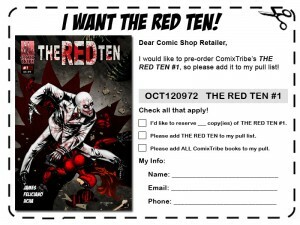 Step One: Click to download this THE RED TEN #1 Pre-Order Form!